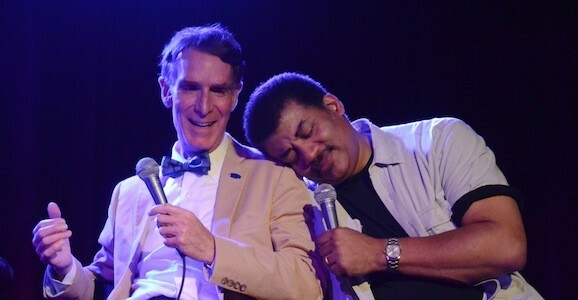 Neil deGrasse Tyson and Bill Nye are two of our favorites, so when they get together for some scheme or another, you can bet that it has our complete and total attention. And they’ve got a doozy of a project brewing this time, as they’re about to test their LightSail spacecraft. The two popular figures in the scientific community, along with their partners at the Planetary Society, announced that they plan to embark on their first test mission in May of this year. Entirely funded by private citizens, the solar sail satellite will be a part of an upcoming launch of an Atlas V rocket. With an ultimate aim to launch the LightSail solar satellite, which will, as you likely guessed from the name, be powered by sunlight. This technology could be used to power a new generation of spaceships, which would certainly come in handy as we attempt to do things like travel to Mars and other endeavors. This first voyage will test all of the basic critical functions, while a later trip, likely going down sometime in 2016, will try out and examine the actual solar technology. This could also be a low-cost way for research groups, universities, and other interested parties to conduct experiments in space. The LightSail, contained in a small, loaf-of-bread-sized craft called a CubeSat, if everything goes as planned, will hopefully prove that such solar sail technology is a worthwhile, practical method for propelling and powering these trials or small satellites. It will lower the cost of such exploration, thus making it more accessible to a wider base. There’s an old saying in aerospace, ‘One test is worth a thousand expert opinions.’ After six years of development, we’re ready at last to see how LightSail flies. LightSail is technically wonderful, but it’s also wonderfully romantic. We’ll sail on sunbeams. But wait, there’s more: this unique, remarkable spacecraft is funded entirely by private citizens, people who think spaceflight is cool. With the expected launch of LightSail—a craft propelled among the stars on the pressure of light itself—the expanse of space becomes a literal analogue to the open seas. If space is tomorrow’s ocean, then Earth’s surface is its shoreline. This video gives you a good idea of what the project is all about, what the goals are, how they’re approaching this launch, and more. We’ll keep you posted as more details emerge.